So you have founded a startup. It wasn’t easy, was it? How about making your work a little bit easier? Don’t let tedious and recurring tasks drive you away from launching a successful product. You’ve got more important things to do than individually keeping an eye on every team member just to make sure they are doing their job, right? Don’t make your already difficult work even more difficult. In this post we’ve prepared a list of tools that will make your and yours team job much easier, faster and productive. Some of them are loosely about collaboration and management but bare with me, they will certainly help you with your everyday work. ‘Cause no one wants to work hard, right? Let’s jump into the best online tools for startups, management and collaboration. Amazing tools for startups you’ve probably never heard of. Teams from all around the world say that if you like Trello then you will love Monday. Monday lets you manage a variety of tasks, broken down into manageable projects that you are in complete control of. The tool makes it easy for startups and teams to keep track of the projects by creating boards that show them in current or completed stages. It’s easy to create a priority and set a deadline. Do you need a simple and beautiful website for cheap? 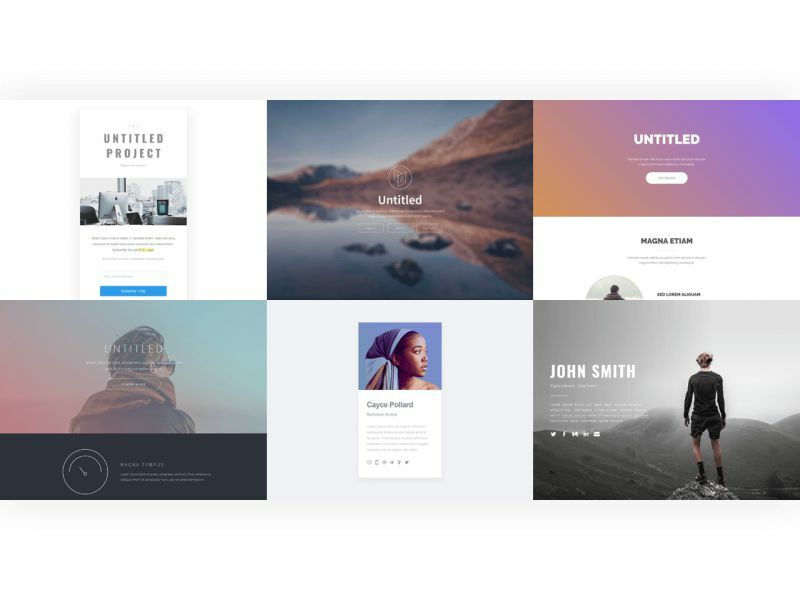 Are you looking for easy-to-use tools that will help you create an amazing UI for your visitors? Check out carrd.co. It’s a free tool that allows users to create modern-looking websites with ease - no programming knowledge needed! With additional 9$/year you get premium features such as SSL support now crucial for SEO, custom domain name, Google Analytics integration and many more. So you know how Slack is the dominant chat app for teams? It’s always good to have an alternative or competition. Meet HeySpace. It’s actually a startup from the city we’re from! It’s quite an interesting take on Slack as each message can be converted into a Trello-like task. With HeySpace you’re getting the familiar experience with cool, additional features. On one screen you’re getting both team chats and task board to maximize your workflow and productivity. You don’t have to jump between tabs and apps, everything’s in one place. HeySpace is certainly an app where things will get done. AirTable is a flexible, web-based application that reinvents the way you think of spreadsheets. It’s an easy-to-use database with a familiar look of spreadsheet you already know from Google Sheets or Microsoft Excel but with a twist. Each cell is a record that can be adjusted for your needs. Most common uses for AirTable include planners, calendars, time trackers or business management - everything within one app! It’s an extremely interesting collaboration and management tool for startup and teams that you have to check out! Coda is a management and collaboration tool that was created with product teams and startups in mind. It is a combination of tools you probably already know and use, such as Trello, Google Docs, Sheets, Keep and so on. Whole management thing happens within only one app, no need to jump from a tab to another. It’s flexible, so you can tailor the complexity of your project to you and your needs. Zapier allows you to automate your tasks by connecting apps you use together. This is a great tool for startups and teams because it makes your job much easier as it takes many manual tasks off your hands. The connection between apps it provides is like magic. You can, for example, get notified on Slack about a form being filled out on your website or upload every new GMail attachment straight to cloud service of your choice. Possibilities are literally endless. Manage all your social media, including Facebook, Twitter, Google+, YouTube, from one simple dashboard. You can integrate your favourite services like MailChimp, Tumblr, Zapier, Slack and many more. Hootsuite allows you to schedule your posts, create analytics based on your social media pages, monitor popular topics, manage your social media team and many more. Shopify allows you to create highly customisable online store quick and easy. The platform is packed with great features such as Shopify Payments, ready to use themes, sales channels, responsive design, lots of SEO and marketing tools and many more. You can even use your own domain name or sell in retail using an iPad as a POS device. Now that we have those out of the way, let’s dive deep into some obvious ones that are extremely useful. I have also included most popular alternatives if you’re looking for some new things for you or your team. 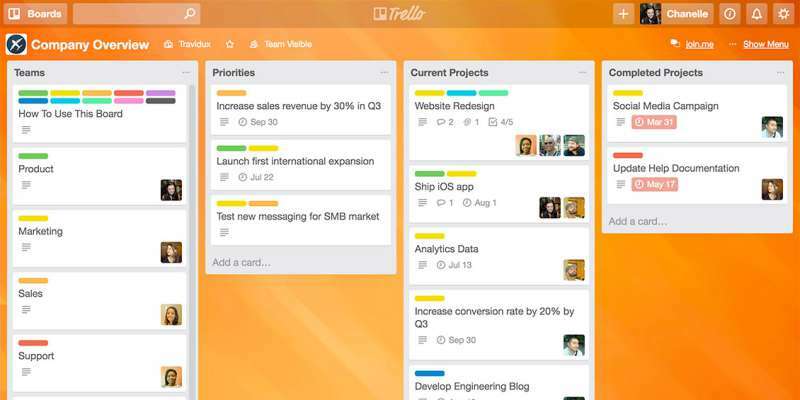 Trello is a web-based project management application that can significantly improve the workflow of your team. Create cards, fill them with tasks and assign your team members to them. Simple, easy and convenient, just like an online whiteboard. This solution is extremely popular among not only development teams, but also schools and real estate agents. Alternatives for Trello: Asana, Basecamp and recently released Microsoft TFS. The most popular collaboration tool - Slack. It is by far the best solution for companies looking for a simple and easy messaging tool for their team. Slack offers wide variety of integrations and customization - read more about the best plugins for Slack. Add your team members to IRQ-like channels, send conversation invites to your clients and use your favorite services directly in the app. Alternatives for Slack: Let’s just focus on the big guys: Microsoft Teams, Google Hangouts, Facebook Workplace. If you want to save up some money for the Microsoft Office 365 license you might want to try out Google services such as Google Docs, Sheets and Slides. They offer quite a lot of features considering they are free, web-based applications. The best thing about them is the way how a team of people can work on one project. You can instantly see changes made by other team members, comment them or even chat. It’s great for light document editing, but surprisingly whole service is highly customizable - check out how we use Google Sheets to track working hours with Breeze. Google also offers other interesting tools for marketing and SEO such as Google Analytics, Trends, AdWords. Alternatives for Google Suite: Microsoft Office 365 with OneDrive is a much more sophisticated, but premium solution that offers similar collaboration experience to Google’s. Simplify your life with a password manager. If you want to give your employees access to one company account eg. analytics or e-learning platform, but you don’t want your password to fly around Slack channels, you should consider using a password manager such as LastPass. The service can hook up accounts of your employees to the core one where the passwords and the logins are being stored. It allows them to simply and securely login to accounts of your choice that are used by many people. Alternatives for LastPass: Sticky notes on the edge of your computer screen, Dashlane, Keeper. Is there anything you would want to add to our list? Let us know if the comments down below! What is Design Sprint and why does your company need it?